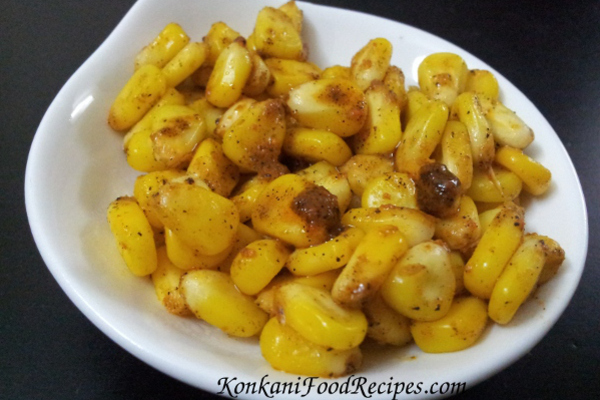 Masala corn is a favourite Indian street food. This chaat is sold in small road side stalls. Make this healthy, yummy, quick snack through this recipe. Mangalore buns are sweet, super fluffy & super soft. Buns are delicious & are a very popular tea time snack, breakfast from Udupi-Mangalore region. Seasoned and spiced semolina idli's eaten with chutney. For an even more healthy breakfast/tea time snack add loads of veggies like peas, carrot, beans. Nice, crispy, crunchy, yummy benda bajos are a yummy snack, starter. These delicious fritters are very easy to make and take very less time. A North Karnataka dish with soft brinjals and a very flavourful masala. Popularly eaten with flatbreads called as jolada rotti and akki rotti. A flavourful, spicy and yummy coconut based curry prepared with horse gram and mangalore cucumber. Garlic seasoning adds heavenly taste to the curry. Kulitha saru/kulitha khadi makes a tasty, yummy, scrumptious meal when eaten with rice. Horsegram is cooked and seasoned with garlic for a heavenly taste.